We know wipes – and many other delivery systems. 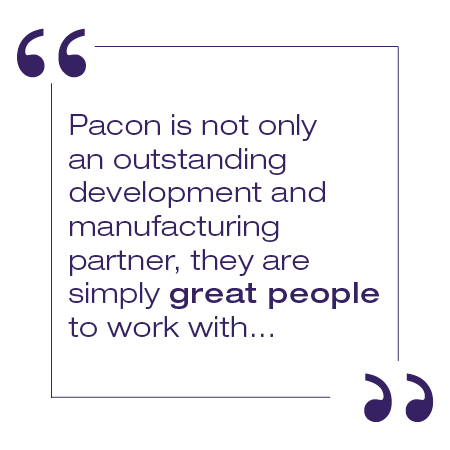 Pacon Manufacturing has been a leader in the business of manufacturing consumer and professional products for Fortune 500 companies and innovative start-ups for over 50 years. From baby care to health & beauty, household needs to industrial cleaning – we manufacture a wide range of products for wet and dry applications, as well as custom shapes and configurations. The possibilities are endless. We employ a range of materials including nonwoven, tissue, paper, polyester, polypropylene, and composites. We offer a wide range of coatings and treatments that are task-specific featuring attributes such as patterns, fragrances, surfactants, cleaners, cascade-layered, precision spot dosing, and powder filling. All of our proprietary processes are suitable for consumer to medical-grade applications, and are in compliance with all major certifications. Servicing customers with large-volume production runs as well as small-scale, job-specific runs, we can also design custom packaging equipment to accommodate your specific packaging needs. We are 100% loyal to the brands we serve, NOT the retailer, so your development projects are completely safe with us. Pacon specializes in providing innovative and cost-effective delivery systems for your chemistry. We excel at creating products and applications that have not been accomplished before. Examples of past applications are below, but challenge us to make your impossible — possible.